Following the Aisne-Marne Offensive, the 26th Division was relieved from the line on July 24, 1918 and the battalions of the 103rd Infantry moved to the area of Bois de Souillard, Souillard Farm and Roberts Farm to the north and east of Montreuil. By August 1, the 103rd had marched to the La Ferte area with Regimental HQ established at Ussy. Here the men cleaned up and rested, equipment and clothing was refitted and replaced, and 475 replacement troops were received which still did not bring the Regiment up to full strength. On Sunday, August 4 a memorial service for the Regiment’s dead was held at Ussy. On August 14 the Regiment was relieved from La Ferte and entrained for the Chatillon-sur-Seine training area. Regimental HQ was established at Laignes with the various battalions located at Bissey, Larry, Marcenay, Bouix and Cerilly. On August 27 1918, the 103rd was moved back to the front, entraining at Poincon and traveling to Bar-le-Duc where it assembled with the rest of the 26th Division in preparation for the St. Mihiel Offensive. 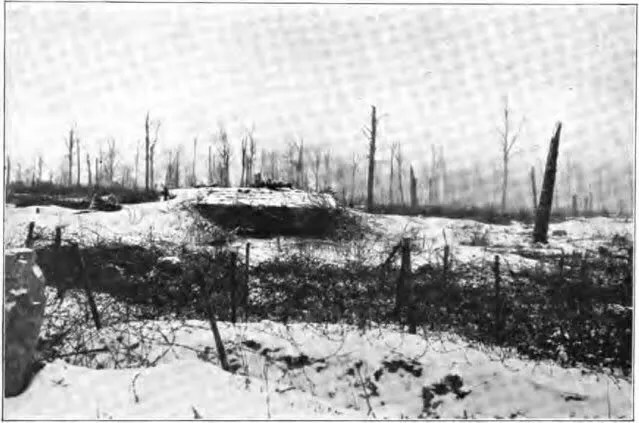 Units stayed under the cover of woods during the day to conceal their positions from aerial observation, and the movements northward to Rupt-en-Woevre (Point A) were made by forced night march led by the 52nd Brigade with the 103rd arriving and taking over a section of the front line by September 5. Divisional HQ was opened at Rupt-en-Woevre and Regimental HQ was established at P.C. Neuilly in the ravine south of Amblonville Forest. The weather collaborated in concealing the troop movements into the Rupt Sector with heavy cloud cover and torrential downpours of rain. The general plan of attack for the 26th Division was to assist in the reduction of the St. Mihiel salient by moving southeast against its western side which was held by the German 30th Landwehr Division. The immediate mission was to clear the Heights of the Meuse, thereby forcing a German withdrawal from the entire area. The 103rd battalions were moved into position for the attack on the night of September 11 under heavy rain with the Regimental HQ moved forward to P.C. Cloche. 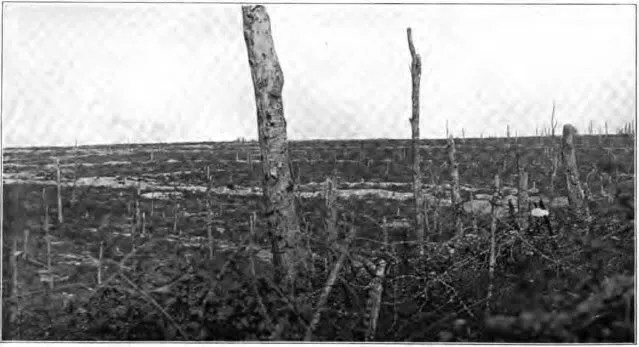 The terrain was very difficult to navigate, pitted with old trench systems and covered with tangled masses of old wire. A detail of Scouts worked throughout the night cutting lanes through the wire to connect with the planned barrage zone. The artillery preparation commenced at 0100 hours and the 103rd went over the top at 0800 hours following a rolling barrage. From the time of its initial attack, the entire 52nd Brigade was faced with heavy opposition from machine gun fire while moving across terrain that provided little cover but ample obstacles in the form of dense woods and wire. On September 12 (the first day of the attack), the 103rd reached its objective of capturing enemy trenches southwest of Chanot Bois by nightfall, but advance patrols were driven back from Dommartin (Point B) by enemy machine gun fire. At midnight orders were received to resume the attack and capture St. Maurice by daybreak. 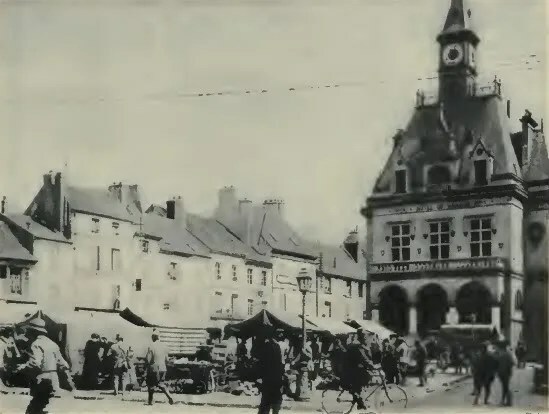 By mid-day on September 13, elements of the 103rd Infantry finally reached the heights of St. Maurice and occupied the destroyed towns of Billy-sur-les-Cotes and Vieville-sur-les-Cotes (Point C). As they retreated, the Germans attempted to leave little but scorched earth behind for the Allies. During its advance in the St. Mihiel Offensive, the 103rd captured 900 enemy prisoners, 16 artillery pieces, over 60 machine guns and large quantities of other materiel at a cost of 17 killed and 112 wounded. After reaching its final objective, the 103rd Infantry consolidated and secured its gains until it was relieved by the French Army on September 14. It was then relocated within the Troyon Sector to hold the captured area from Saulx to Champlon. Support troops were located at Combres and reserves near Les Eparges with Regimental HQ north of St. Remy. Although it was now in a dominating position against the enemy, the 103rd was subjected to very heavy shelling and gas in this area. On September 26, the 1st Battalion of the 103rd attacked Riaville and Marcheville as a diversion for a large combined assault on Verdun and Rheims by the 1st American Army and 4th French Army. There had been no opportunity for reconnaissance and with the conditions of the roads it was impossible to provide the troops with proper rations. Poor visibility contributed to a general lack of liason among the units involved and they were driven back several times with heavy casualties by heavy enemy artillery and machine gun fire from reinforced emplacements. This was followed by a severe German gas attack on the front-line units near Champlon in retaliation. Please refer to the “Map Room” page for detailed maps illustrating the American advance in the St. Mihiel Offensive. My great-uncle Corp Thomas F. Baker was KIA on Sept 26, 1918. He was assigned to the 103rd Inf Reg, 26th Div. His remains were never recovered and it is inscribed on the Tablets of the Missing. I have a document signed by General Pershing attesting to his sacrifice. Is there any interest in having a copy of this document for the web site? Would that entitle him to have his name inscribed in the 103rd Inf Honor Roll or was that just limited to the HQ Company. Thanks for any help you can provide. I would be honored to include him as part of the Honor Roll. If you can send a copy of the document I will be happy to post it. My family is trying to find out more about our Grandad’s military history…we were told his unit was in the St.Mihiel Offensive Sept.1918 and that he suffered from being gassed for years afterwards. His name was Henry Butler Allen, rank of Captain. I have his military bridle which says: Battery,F.129 F.A. but this might have been from something he was in before the war, we are not sure. If you can help us in anyway to find records or photos we would certainly appreciate having more information on his service. This is exciting! The 129th Field Artillery was a unit of the Missouri National Guard. Capt. Harry Truman (later President of the U.S.) was commander of Battery D from July-November, 1918. No doubt your grandfather would have known him as a brother-in-arms. Here is a link to information at the Truman Library concerning the Regiment which will give you a better understanding of what your grandfather experienced: http://www.trumanlibrary.org/hstpaper/ww1subgd.htm. In fact, Harry Truman writes about your grandfather to his fiancee: http://www.trumanlibrary.org/whistlestop/study_collections/ww1/documents/nameslist.php. Assuming he was in the Missouri N.G. prior to the War, I would contact the Missouri State Military Department for more information and service records. My Great Uncle Tobe Perry died Oct.17 and is buried in St Mihiel. 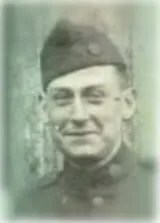 Schiefer, Jacob Pvt., Co, B, 311 Infantry Battle of Mihiel Sept 26, 1918 Buffalo, NY born Prioner of War. Attached to 78th Division in support of the line at Pont- a – Mousson. Genealogy research a branch blood line. My grandfather was a driver of the trucks that brought the artillery shells to the artillery guns. He was in the St. Mihiel Offensive. At some point between then and October 5th, he caught the Spanish Flu, followed, as it often was, by pneumonia. He died on October 5th. He was Henry Madden, of Boston MA and was a “waggoner” and a corporal. He had trained in South Carolina and arrived in France July 10, 1918. I am trying to track down where he actually died. My grandfather Sgt. John P Diggins Company D 103rd Infantry 26th Div received the DSC and the Croix de Guerre for his action at Marcheville France Spetember 26th 1918. What I do not know is were the two decoration received for the same action? How can one discover the details of the Croix de Guerre ? His DSC citation was signed by General Pershing, how do we best honor his valor, and preserve these historical documents? I have offored his medals and citations to local historicl society and to the state house in NH, but no interest? I have them displayed in my home but it doesn’t seem quite fitting? The DSC citation will give you all the information on the engagement for which he received the award. The Croix de Guerre was often awarded in tandem by the French government, so there won’t be much more to add. I am happy to honor his valor by posting the information on this site if you wish. P.S I haven’t heard any tell of brother being over here except what you all have wrtten to me. We have heard of some boys going back that had just loaded. Perhaps he was in their Division and may be home. Hope So.